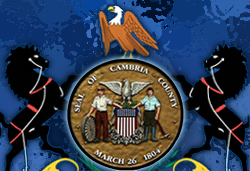 Looking for a job in Cambria County Pennsylvania? The following is a directory of Cambria County PA top employers with direct links to the jobs they offer. This directory includes local city job links as well as the larger job posting boards. Only sources that have job listing pages, business directories, and/or legitimate human resources contact listings are provided below. Cambria County had job openings on this review date. Positions found had included Deputy Administrator, Aging Care Manager, and County Caseworker. Scroll-down to view listings. Career & Workforce provides information about area job growth and links to some of the largest employers. The City of Johnstown periodically posts vacancies on their employment page. Check for updates. Conemaugh Health System, of Duke LifePoint Healthcare, is the largest healthcare provider in west central Pennsylvania, serving over a half-million patients each year through the Conemaugh Physician Group and Medical Staff, a network of hospitals, specialty clinics and patient focused programs. Conemaugh Health System employs over 5,000 clinical and non-clinical staff, and over 450 physicians committed to providing the ideal patient experience. Here you will find open positions such as Environmental Services Associate, Medical Biller, Business Intelligence Developer, Certified Nursing Assistant CNA, Certified Surgical Technologist, Counselor, Registered Nurse RN Telemetry Unit, Registered Nurse RN Surgery, Home Health RN, Medical Assistant, Medical Office Assistant, Nurse Practitioner, Nursing Assistant, Varied Shifts/Days, Telemetry Unit Nursing Assistant, Physical Therapist, Physician Assistant, Physician Assistant Surgical, RN Obstetrics, Registered Nurse RN Operating Room, and Hospice RN. Select Specialty Hospital provides comprehensive, specialized care for patients with acute or chronic respiratory disorders. UPMC CancerCenter Johnstown Cancer Treatment Center had open positions on this review date for Registered Nurse Home Health and Physical Therapist. Good Samaritan Nursing Care had home health nursing positions available on this review date. Home Nursing Agency had a variety of full-time, part-time and PRN listings. Openings on this review date included Registered Nurse PRN, Caregiver PRN, and LPN Pediatrics PRN. Check for updates. LaurelWood Care Center had open positions for Director of Nursing, Registered Nurse RN, Licensed Practical Nurse LPN, and Certified Nursing Assistant CNA. Blacklick Valley School District was hiring for the positions of Substitute Teachers, Substitute Cleaners / Maintenance / Cafeteria Staff, and Substitute Instructional Aides. Cambria Heights School District was recently hiring for the position of Part-Time Custodian. Central Cambria School District had Professional (Teacher and Nurse) and Classified (Cafeteria, Custodial, Housekeeping, Para-Professional; Secretarial) day-to-day substitute positions available. Application instructions were available. Conemaugh Valley School District had an open position on this review date for Certified School Nurse. Substitutes in the following areas: Maintenance Substitutes, Support Staff, Classroom Aides, and Cafeteria Staff. Ferndale Area School District was hiring for the positions of Kitchen Utility Person, Day-to-Day Substitute Teachers, Substitute Cleaners, Substitute Cafeteria Cooks, Dishwashers, and Kitchen Utility Workers. Forest Hills School District had open positions for Paraprofessional, Rifle Coach, Junior High Boys' Track Head Coach, Assistant Elementary Drama Director, and Freshman Hockey Head Coach. Glendale School District was hiring Maintenance Substitutes, RN and LPN Substitutes, and Substitute Teachers. Greater Johnstown School District had job openings for support staff. Positions available had included Secretaries, Clerks, Maintenance, Para-professionals,a and School Psychologist. Northern Cambria School District's employment opportunities included School Aide, Extracurricular positions, and School Nurse. Penn Cambria School District was accepting substitute applications for food service workers, custodial staff, secretaries, teachers, aides, and RN/LPN's. Richland School District was recently hiring for the position of Elementary Assistant Principal. Westmont Hilltop School District advertises job openings within their news section on the home page. Windber Area School District had employment listings for Assistant HS/MS Principal, Cafeteria Substitute Part Time, Custodial Cleaning Personnel, Substitute Classroom Aides, and Substitute Teachers. PA Educators is a statewide, one-stop clearinghouse for educators. MAC faculty and staff enjoy the benefits and advantages of working in a small Catholic liberal arts College that enables them to know each other on a personal level and encourages team building ultimately enhancing the quality of service to our students. Saint Francis University typically has a variety of instructional and support staff opportunities available. University of Pittsburgh at Johnstown had faculty and support staff openings on this review date. The Johnstown Police Department JPD is a full service police agency with sworn officers and civilian employees. Their main page did not have recruitment information on this review date, but you can check the city employment page for opportunities. State and Local Government Job Opportunities periodically become available. Provides PA jobs including Civil Service and Non-Civil Service jobs. Make sure you are dealing with reputable companies before applying. The Johnstown Craigslist had job postings for positions such as Unarmed Security Officers in Johnstown, Accounts Receivable Claims Processor - Johnstown, Accounts Payable Clerk, Payroll Clerk, Staff Accountant, Director of Nursing, On Call Registered Nurse, Full-time and Part-Time Desk Clerks Needed, Landscape Laborer, Customer Service Jobs, Experienced Caregivers Needed, PRN Medical Assistant, Cleaning person, Part Time Office Help, Title 1 Teacher, Administrative Assistant, Network Engineer, Custodian (Johnstown), Speech Therapist, Care Manager (RN/LPN with Great Pay/Flex Schedule), Medical Transcriptionist Wanted (Johnstown), Snow Plowing, Class A Truck Driver, CNA or Experienced Caregiver, Substitute Teacher, Pre-K Counts Bus Driver, Metal Stud and Drywall Installer, Store Manager, Advertising Sales Rep, Interviewer, Roofers Wanted, Bartender, Auto Repair - Tire Technician - Tire Installer, Carpenter, and Campus Receptionist (Part-Time).